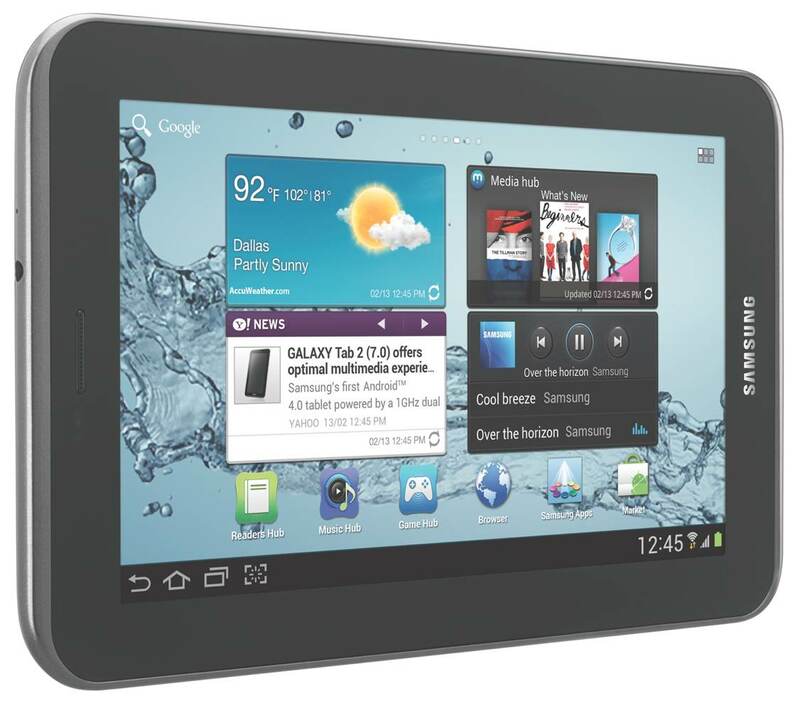 Samsung Galaxy Tab2 (7 Inch Wi Fi) - Technology On The Go! 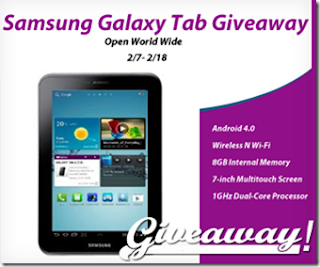 But you can win this Samsung Galaxy Tab for your needs! Win a Samsung Galaxy! 165 Bloggers and Brands have joined together to bring you this amazing giveaway event! Access the Internet and stream media over your home network via ultra-fast Wireless-N Wi-Fi. And with the Smart Remote app and built-in IR Blaster, you can watch and control your TV content--all from the palm of your hand. The Galaxy Tab offers full support for Adobe Flash Player 10.1 for accessing Flash-enabled websites, watching video and playing games. Designed to fit in one hand, typing messages or notes is simple and easy with the Galaxy Tab's virtual QWERTY keyboard. It's outfitted with a 3-megapixel rear-facing camera for photo capture and sharing as well as a VGA front-facing camera for video chat. Other features include 8 GB of internal memory, microSD memory expansion (for up to 32 GB of expansion via optional cards), Bluetooth 3.0 wireless connectivity for hands-free devices and stereo music streaming, and GPS for navigation and location services. Open world wide: Winners outside the USA will receive the cash equivalent via Paypal or Amazon winners choice. NO EXCEPTIONS! You must be 18 years of age or older to enter. See official sweepstake rules. love to be able to give my kids a tablet. My son is going to college in the fall and this would be great for him!! I don't have a tablet and I WANT one. It would be a great portable computing option for me -- it go everywhere I go! I love the Samsung Galaxy Smartphone that I got a few years ago and have wanted a Galaxy Tablet for quite a while but the extra money's just not here. Would be awesome if I won this. I love the galaxy product line. It would be so much more convenient (and probably a lot faster) than my 7 year old laptop. Can't afford to replace the laptop or buy a tablet, winning one would be great. I really need a tablet! I want to win because I really need a new phone. This one is perfect. because I want one of these! I would like to win because I don't have any mobile devices. I don't have a tablet and I'd love one. I would like to learn more about how to use the latest technology and I don't have a tablet and would loved to win one. I have always wanted one of these! I want something to read books on!